The Federal Point Historic Preservation Society held its monthly meeting on Monday, January 16 at 7:30 pm at the Federal Point History Center, 1121-A North Lake Park Blvd., adjacent to Carolina Beach Town Hall. Our speakers this month were Beverly Tetterton and her husband Glenn. They presented a slide program entitled “New Hanover County Names and Neighborhoods” that describes the growth of Wilmington from the 18th century to the modern-day and explains the reasons behind the naming of some areas of New Hanover County. Beverly has served as the Special Collections Librarian, New Hanover Public Librarian at the New Hanover County Public Library for over 30 years. Glenn taught German for 30 years in the New Hanover County Schools. Together they wrote North Carolina County Fact Book, two volumes which was published in 1998 and 2000. Beverly is the author of Wilmington: Lost But Not Forgotten, published by Dram Tree Books in 2005 and History of the Temple of Israel, published in 2001. She also served as editor of “Strength Through Struggle” The Chronological and Historical Record of the African-American Community in Wilmington, North Carolina, 1865-1950, which was published in 1998 and Wilmington, North Carolina Postcard History, editor, 2000. Originally from the Williamsburg, Virginia area she attended Peace College, East Carolina University and received her Master of Library Science from North Carolina Central University. 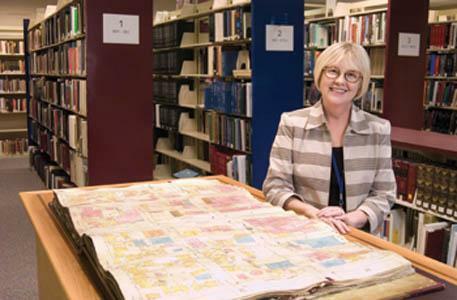 Active in a number of Boards and Commissions she has been involved in a number of special projects, many pioneering efforts in the field of digital archives.